Hello! This looks deeee-licious! One question, though… according to your “About” page, neither of you are from England, so why “rasher”?? When I google, it says either “one thin slice”, or “one serving, usually 3 or 4 slices”. How many slices of bacon does this recipe call for?? “Rasher” bc I’m classically trained in French cuisine and that’s what we learned and I’ve just used the terminology ever since! :) I’ve never heard of the “one serving= 3 to 4 slices. I’ve always known rasher = 1 slice. Hope that clears things up!! 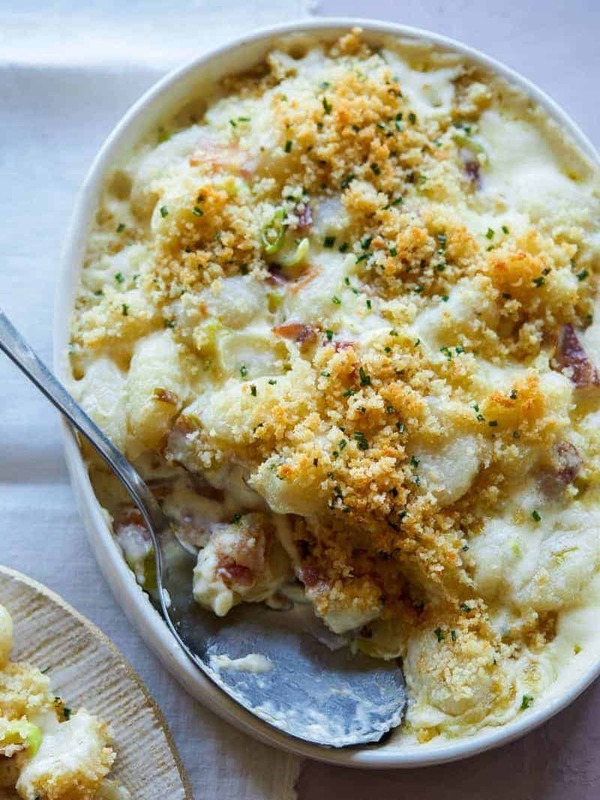 Baked gnocchi is one of my favorite things, and the bacon and leek combo looks great! Hi Jenny! I made this over the weekend…. SO delicious! There was one slight “problem” (though it didn’t affect the taste one bit! )… When I added the Pecorino, it didn’t melt well…. kind of curdled, if that’s the right word. As I said, it still turned out just delish, but I’d rather get the consistency of the sauce smoother. Thank you! Ah, that usually means either the heat was up too high or the cheese was added too quickly. Sometimes when i add cheese into a cream sauce of sorts, I’ll pull it off the stove for a second to slowly stir the shredded/grated cheese in, to ensure a smooth sauce (cause you’re totally right, who likes curdled sauce?? Even if it tastes good, lol)! Glad you still enjoyed it!! 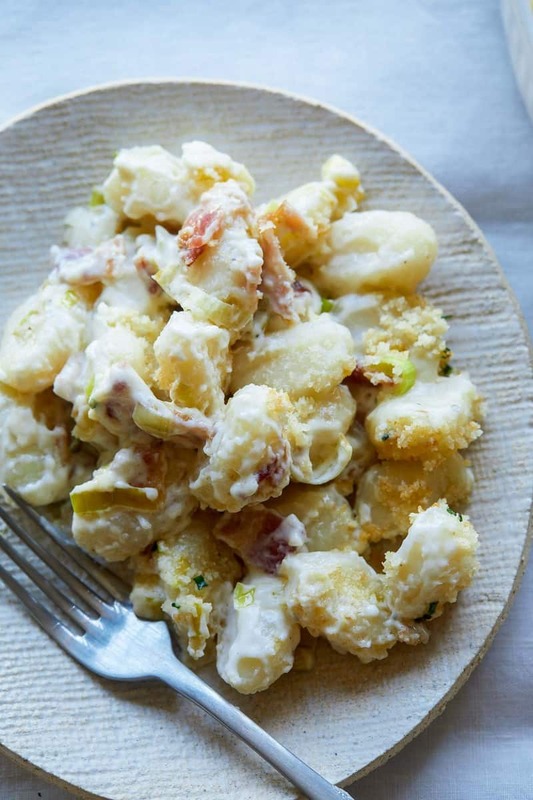 Gnocchi and bacon, Where can you go wrong? This recipe looks and sounds so delicious and I can’t wait to try it. My mouth was watering as I read this post and all the ingredients sounds like they fit together perfectly. Thanks for sharing this!